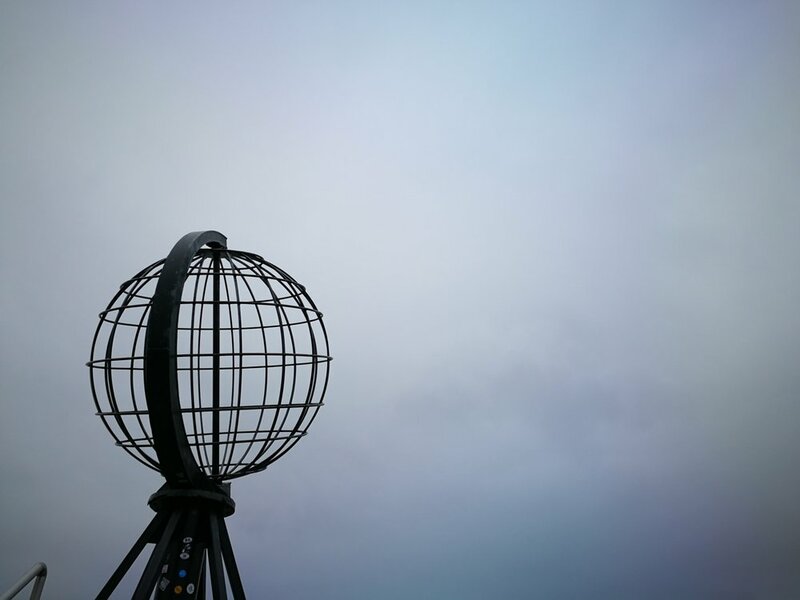 After a rough night, I jumped on the bus to North Cape and took the mandatory tourist pictures before finally taking my first step towards the south. It felt good to finally start walking, it all became very real what I'm about to do. And even though I was quite motivated, there was also this voice in my head saying "what the hell are you doing?" After an hour, my body was broken. Aches all over, but I kept going anyway. A lot of encouragements was given to me by passers by and roadtrippers, , giving me the thumbs up or shouting 'RESPECT", it helped me to stay motivated. 6 hours later, I could dive into my tent... I think I planned to write a lot about this day, but I was to tired. So good night! Ps: I bought 200g of dried fish... The whole tent stinks! Bye! These two girls, Andrea and Eline, were also gonna go from North Cape to Lindesnes, but by bike... I must say I envied them a little when day said they were doing 100km a day.God tur jenter! And suddenly I meet my Uncle! Hah, what are the chances!? It was nice to see a familiar face.